In February 2018, Shopify was the winner in the Ontario cannabis lottery after the Ontario Cannabis Retail Corporation (OCRC) chose the tech darling to power its ecommerce and brick-and-mortar stores. Since then, a lot has changed. With Ontario’s PC government deciding on a private model for its brick-and-mortar retail cannabis stores, a Saskatchewan startup is now coming out on top. Founded in Regina, Cova Software is the little-known entity behind Canada’s cannabis retailers. The startup has designed POS software built specifically for cannabis dispensaries. While POS might seem like it would be fairly standard across industries, Gary Cohen, CEO of Cova, told BetaKit when it comes to cannabis, it’s a whole different story. Operating a cannabis store comes with a lot of strict laws and policies that retailers need to comply with, and that can vary from province to province. Even federal laws can be tricky to handle, with varying possession limits for different types of products, age and promotional restrictions, as well as public health regulations. Cohen argued that in traditional retail markets these type of strict regulations don’t exist, so traditional providers don’t typically incorporate that in their POS software. But in the new legal cannabis market, regulation and compliance can be the difference between keeping or losing your license. Cova calls its software “a dispensary POS designed for compliance.” It has built-in features for age verification, hours of operation compliance, as well as alerts for purchase limits that automatically calculate when a customer has exceeded the 30 grams limit. The company’s software also helps with traceability throughout the production process, tracking batch numbers, as well as provides education for store employees as they try to help customers understand the different types of weed and various cannabis products. In addition to its POS software, Cova also offers digital signage, express checkout, and touchscreen menus. Cova is currently partnering with at least 20 of the 25 Ontario cannabis retailers that won the lottery allowing them to open the first legal cannabis stores in the province. When the Ontario PC government decided to go with a private model for the province’s brick-and-mortar cannabis stores it originally planned to offer an unlimited number of licenses for privately-owned stores. However, due to a shortage of cannabis product, the government decided to limit that number to 25. A lottery was held in January, and winners were told by the Alcohol Gaming Commission of Ontario (responsible for the OCRC), they should be ready to open on April 1. There were nearly 17,000 lottery entrants in the lottery and most of the winners had no experience in the cannabis industry or running a store, according to the Ottawa Citizen. When April 1 rolled around the majority of the chosen cannabis retailers were not prepared, only 10 passed all the requirements and were given the green light to open by the Alcohol Gaming Commission of Ontario. The stores authorized to open included three stores in Ottawa, two in Kingston, and one each in Toronto, Brampton, Burlington, London, and St. Catherines. And a lot was involved in getting even those few doors open, making sure they had enough product, to making sure there was wifi, as well as ensuring they had a sales system that understood the complex cannabis industry. That’s where Cova stepped in. Cova is the POS system behind at least six of the cannabis stores that actually opened on April 1. In Ontario, it is working with The Hunny Pot Cannabis Co., Ganjika, Hobo Recreational Cannabis Store, Fire & Flower, Spiritleaf, and Tweed, which all opened in the first day. It is also working with Canna Cabana, Superette, High Life, and Tokyo Smoke, as well as, Ameri, which opened its doors in Toronto this past Sunday. 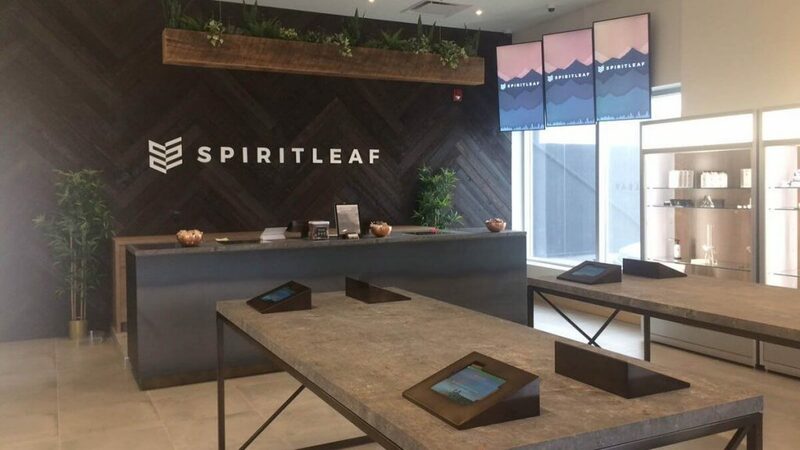 Darren Bondar, president and CEO of Inner Spirit Holdings, the company behind the Spiritleaf franchise, noted that it spent over a year evaluating various POS systems before deciding to go with Cova for its Ontario stores, as well as its other locations across Canada. Hunny Gawri, the owner of The Hunny Pot Cannabis Co., which was the first location to open in Toronto, noted that having a POS system created specifically for dispensaries, with built-in compliance, has already been valuable. “As the first legal retailer to open its doors in the city of Toronto, we have a duty to set an example for current and future retailers, which means paying close attention to all of our vendors, from designers to POS software,” Gawri said. Cova isn’t just cornering the Ontario market, Cohen claimed that the startup is the POS system behind 70 percent of the legal cannabis brick-and-mortar locations across Canada. “All these big players use Cova,” Cohen stated, noting that in each Canadian province it operates in, Cova has the most enterprise, as well as “mom-and-pop” customers. Its system is currently helping run stores in five provinces. In Manitoba, it is working with Garden Variety, which has four locations, and in Alberta, it is working with a number of stores including Canadian franchise chains Spiritleaf, Fire & Flower, and Tokyo Smoke. In Saskatchewan, it is working with at least three locations, Lush Leaf Cannabis, Dreamweavers, and Modern Leaf. In BC, where Cova has its Canadian headquarters, it is operating in at least three locations as well. 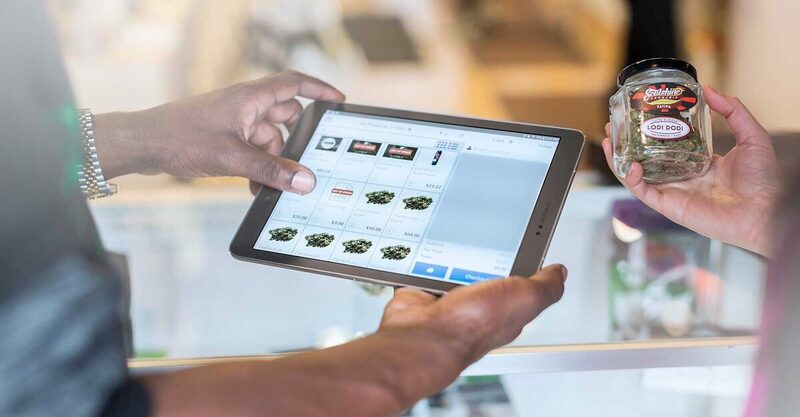 Even when facing other Canadian POS giants like Lightspeed and Shopify, which has been expanding its retail presence of late, Cova appears to be cornering the market for cannabis POS systems. The Canadian cannabis industry set to be worth $5 billion in 2021. Cohen noted to BetaKit that along with the 20 Ontario stores that chose Cova, it is in talks with at least two others. Of the remaining three stores of the 25 that won the lottery, Cohen stated that two went with a competitor dispensary POS, and the other went with Shopify. It is unclear which Ontario location Shopify is working with, and how many other locations across Canada are using its POS system. While the tech giant may have lost out on the brick-and-mortar side, it claimed victory in ecommerce, as the operating system behind Ontario’s online store. It was also chosen by three other provinces BC, Newfoundland, and Prince Edward Island to power their online retail sites, as well run some of the brick and mortar retail sales systems. BetaKit reached out to Shopify for comment about its operations in the Canadian cannabis market but had not heard back by the time of publication. Fellow startup Greenline POS, which is based on Vancouver and founded in 2017, also offers a similar dispensary POS product. Its website stated that it works with hundreds of cannabis retailers across Alberta, Saskatchewan, and BC, servicing 30 percent of the cannabis retail market in the country. The idea for Cova came out of parent company, iQmetrix, a POS company founded 22 years ago in Regina, that builds software for the cellular industry. iQmetrix, wanting to use its experience in a regulated industry, decided to expand into new verticals. Cohen noted that it looked for retail verticals that had high growth opportunities and settled on cannabis. In 2016 Cova was born, as a subsidiary of iQmetrixs. In November of 2018, Cova raised its first funding round that let it spin out of its parent company, raising $8 million from Regina-based venture capital and private equity fund, West CAP from Saskatoon. Cohen noted, however, that Covia is still majority owned by iQmetrixs. While it was founded in Regina, Cova has its headquarters in Denver, Colorado and Canadian headquarters in Vancouver, with offices in Regina and Winnipeg. In the US, it works with retailers in California, Oklahoma, Washington, and Colorado. The Canadian cannabis industry is set to be worth $5 billion in 2021, according to a report by cannabis research firm Brightfield Group. This is actually down from the firm’s previous estimate of $8 billion. This new estimate came from data collected of recreational cannabis sales post-legalization, which has been affected by a shortage of product availability. While the market may now be smaller than once predicted Ontario’s brick-and-mortar retailers have yet to see that, with long lines and people camped outside waiting for them to officially open. As for Cova and its POS system, Cohen stated April 1 was an exciting day.